Our latest Celtic Whiskey Shop Exclusive Single Cask from the midleton Distillery, was exclusively aged in first fill Bourbon barrels. 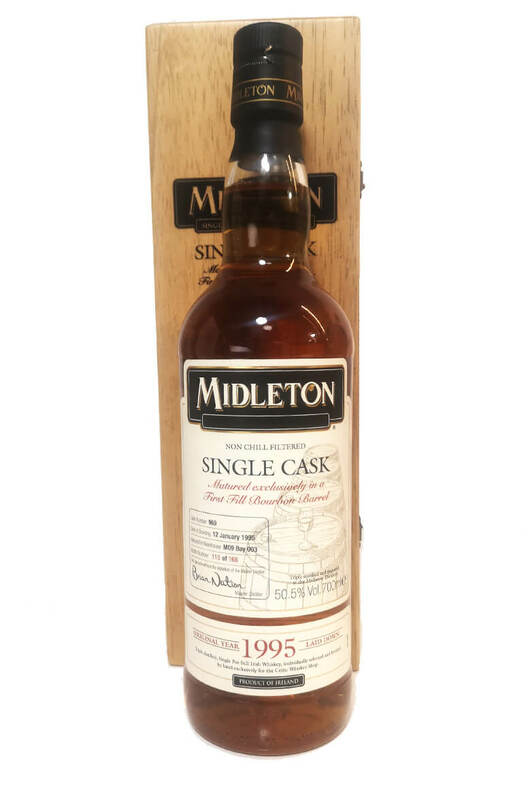 This whiskey was distilled and laid down in the midleton Distillery in January 1995. Limited to just 168 bottles. Taste Silky and soft. Slowly evolving flavours of pineapple, lemon, meringue, aplles, ginger snaps, honey and toasted grains. Nose Complex, fruity and spicy on the nose. Aromas of grilled pineapples, baked apples , oak shavings, preserved lemons and apricot tarts.